This is the public profile of The solidThinking Team, Additional information and high-resolution images are available for accredited press members, to access additional information about The solidThinking Team please login as a press member. About The solidThinking Team : solidThinking creates, develops and markets technology that helps our user community bring the most desirable products to their customers faster. solidThinking software is sold and supported by a global network of distribution partners and is also available as part of the Altair HyperWorks® suite. 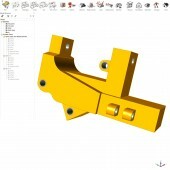 solidThinking is a wholly owned subsidiary of Altair. Privately held with more than 2,000 employees, Altair is headquartered in Troy, Michigan, USA and operates more than 40 offices throughout 20 countries. Press Members: Request an exclusive interview with The solidThinking Team.